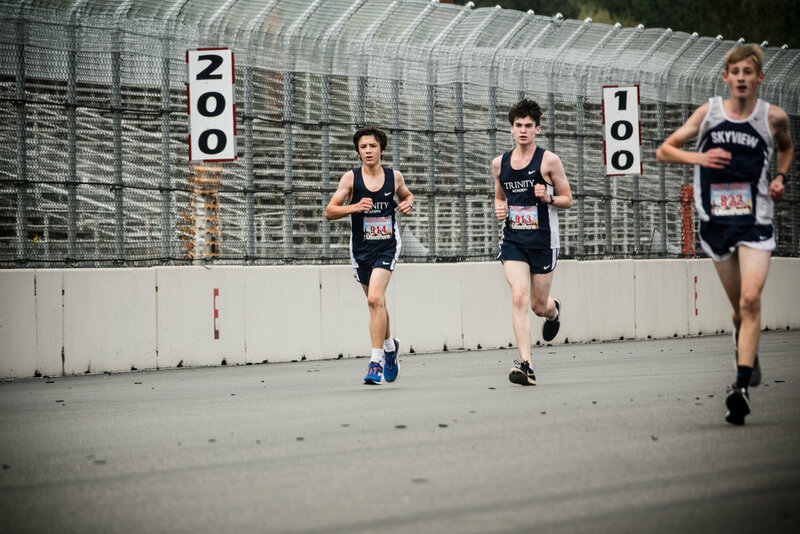 Saturday’s race at Portland International Raceway was by far our fastest course with everyone getting great times. The course was mostly flat, slightly shorter then the norm at 4970 meters and the weather cool and cloudy. The official J.V. women results showed Lia at 23:47 (her previous best time was 26:14 for a race 30 meters longer meaning she still shaved off over 2 minutes!) Devyn was at 25:49 (nearly a 4 minute improvement). Ruth was at 26:26 (a 1+ min improvement) and Sophia at 31:12 (a 1+ min improvement). J.V. men’s results showed Luke M and Dominic finishing neck-and-neck with just 2/10ths of a second difference. Luke came in at 19:41.5 and Dominic at 19:41.7. Luke’s previous p.r. was 20:53 from the 2017 season and Dominic’s at 20:58. Tovi came in at 21:39.6 (previous p.r. 22:06 for a race 30 meters longer). 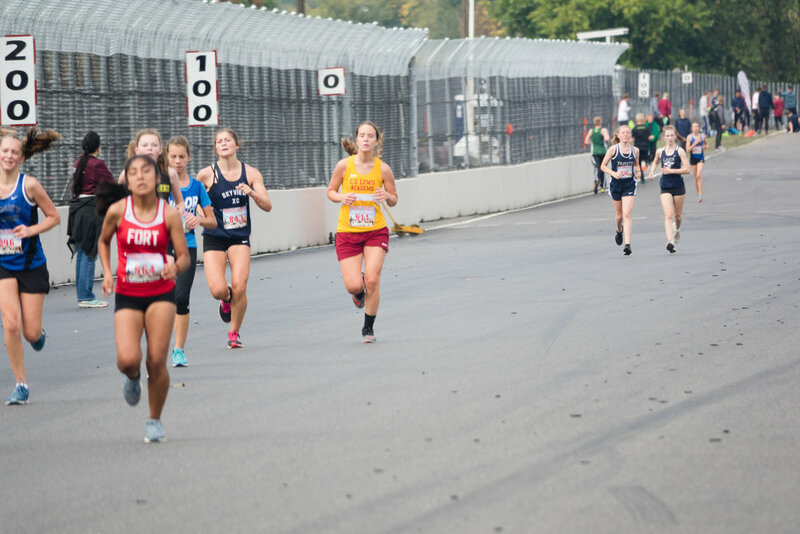 Our only Varsity women’s runner was Annika who finished at 22:07. Her previous best was 23:33 for a 5K. 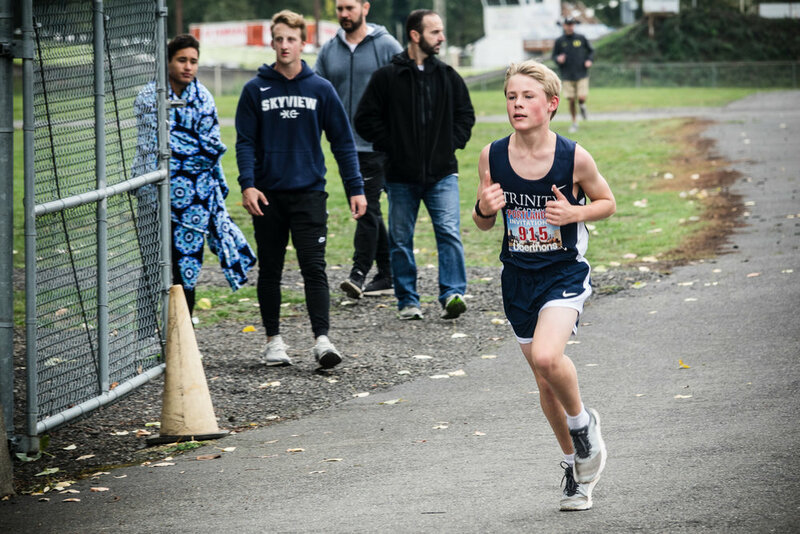 Our only Varsity men’s runner was Gabe Cowley who came in at a flat 18 minutes (40 seconds faster than his previous p.r. a few weeks ago for a 5K).